At MaxPeople, we have a skilled, passionate team of Human Resource and Employment Law Professionals. They come from a wide range of backgrounds and industries, giving them the experience they need to provide expert advice and support. Julie Ruben Rodney is the Founder and CEO of MaxPeople , a firm offering premium on-site HR services and Employment Law support to organizations who understand and care about the power of people and do not have HR expertise in-house. Julie is an experienced and dynamic facilitator and consultant in the areas of Interpersonal Communication, Teambuilding, Leadership Development and Creativity. She leverages her expertise with a variety of assessments to help her clients improve their ability to work with others more effectively. Some of the assessments she uses includes the Myers-Briggs Type Indicator® (MBTI®), The McQuaig Word Survey®, Herrmann Brain Dominance Instrument ® (HBDI®), Strategic Leadership Development™ (SLD)™, and DiSC Personal Profile System®. She often incorporates these assessments to deliver high-impact programs that are tailored to meet the business objectives of her clients. Prior to starting her own people development organization, she spent ten years with MICA Consulting Partners, where she successfully facilitated hundreds of interactive workshops, designed programs, built deep client relationships through business development, and project managed large scale initiatives. She is a graduate of the University of Western Ontario. She further pursued Personnel and Industrial Relations at the University of Toronto. She obtained her Certificate in Human Resource Management (CHRM) through the Human Resources Professional Association (HRPA), as well as, her Certified Human Resources Professional (CHRP) designation. Julie is an active member of The Women’s Entrepreneurs of Canada (WEC ) and The Women’s Executive Network (WXN) . Julie has a Masters in Adult Education (M.Ed.) specializing in Workplace Learning and Change from the University of Toronto. She is passionate about engaging people to maximize their performance using a fun and positive approach. Jordan Rodney is the President of MaxPeople, a firm offering premium on-site HR services and Employment Law support to organizations who understand and care about the power of people and do not have HR expertise in-house. A sought-after speaker, Jordan has spoken to members of various groups including, among others, the International Customer Service Association (ICSA), the Canadian General Accountants (CGA), the Canadian Physiotherapy Association (CPA), the Canadian Construction Association (CCA) and the Canadian Association of Recycling Industries (CARI). Jordan has been published and quoted in the Globe and Mail, Canadian HR Reporter , the Voice magazine and Lawyers Weekly. Jordan is a lawyer and a results-driven Human Resource professional with experience in employee and labour relations, negotiation, facilitation and change management. Jordan incorporates a variety of tools, assessments (The McQuaig System ®) and continuous improvement methodologies to help his clients improve their performance. Prior to joining MaxPeople Jordan spent 15 plus years in the Human Resources field working in the Beverage, Broadcasting, Courier and Manufacturing industries. Within these diverse businesses, he successfully managed complex project initiatives, cultivated deep client relationships, negotiated multiple collective agreements, designed and delivered numerous training seminars and identified practical human resources solutions for companies. Jordan was previously an instructor at the Schulich School of Business in the Organizational Studies Department and at George Brown in their Corporate Training Department. Jordan obtained a B.A. from York University, an LL.B. from the University of Western Ontario, and is a member of the Ontario Bar. Jordan further specialized in Human Resources at Queen’s University obtaining a Master’s of Industrial Relations. Jordan is focused on ensuring that organizations are equipped to handle workplace issues using innovative and cost-effective solutions. He enjoys coaching people to achieve their maximum potential while assisting organizations to achieve their objectives. 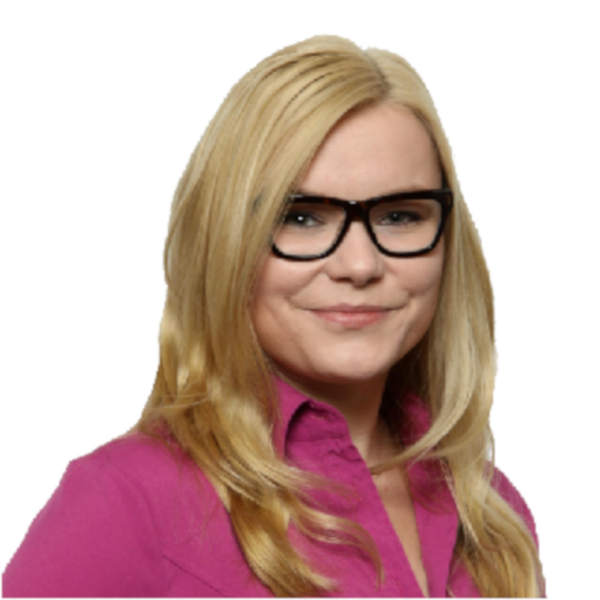 Miriam Anbar is a legal advisor for MaxPeople and an associate at Rodney Employment Law. In her practice, Miriam handles a broad spectrum of employment and labour matters, including but not limited to wrongful dismissals, employment standards, employment contracts, human resources law, workplace safety and insurance, human rights, and occupational health and safety. Miriam assists both employers and employees, and she strives to provide practical strategies to solve complex workplace issues. Miriam has a passion for public speaking. She has participated in and won several advocacy competitions and received a number of academic awards. Miriam completed her law degree at the University of Windsor and obtained an undergraduate degree from York University. She is a member of the Canadian Bar Association, Ontario Bar Association (Labour & Employment section) and the Law Society of Upper Canada. In her spare time, Miriam enjoys taking hot yoga classes, learning new languages, and spending time with her family. 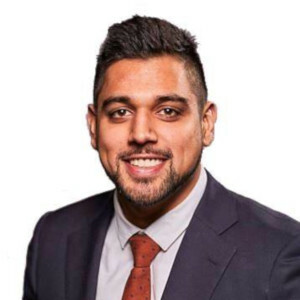 Arjun Dhir is a legal advisor for MaxPeople and an associate at Rodney Employment Law. In his practice, Arjun handles a broad spectrum of employment and labour matters, including but not limited to wrongful dismissals, employment standards, employment agreements, human resources law, workplace safety and insurance, human rights, and occupational health and safety. Arjun assists both employers and employees, and utilizes a tailored approach for each client, to provide practical solutions to complex workplace issues. 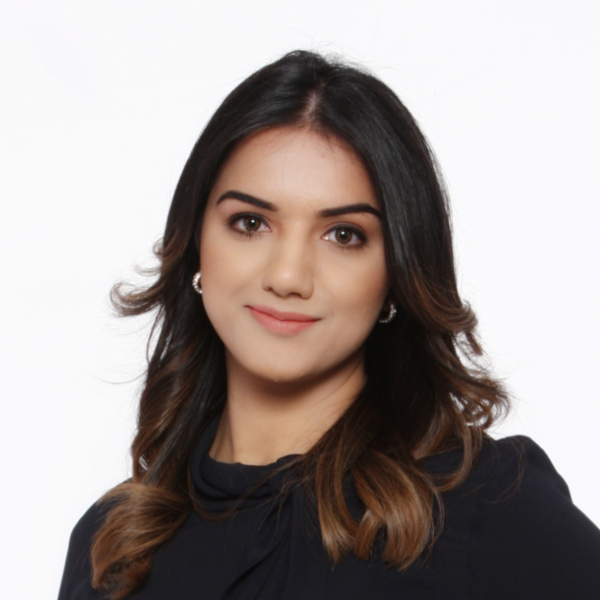 Shaesta Latif is the Legal Assistant and Paralegal at Rodney Employment Law. Prior to joining Rodney Employment Law, Shaesta has worked in the capacity of both Legal Assistant and Paralegal, for several small and large firms in Toronto. Shaesta has experience in various areas of law, including: Employment Law, Corporate Commercial, Corporate Finance, and Personal Injury. Shaesta graduated from University of Toronto with a B.A. in Political Science. She is a Licensed Paralegal and is in good standing with the Law Society of Ontario. Shaesta furthered her education with a Alternative Dispute Resolution Certificate from Centennial College. Rodney Employment Law handles a broad spectrum of employment and labour matters, including but not limited to wrongful dismissals, employment standards, employment contracts, human resources law, workplace safety and insurance, human rights, and occupational health and safety. Rodney Employment Law assists both employers and employees, and our firm strives to provide practical strategies to solve complex workplace issues. Shaesta is passionate about assisting others and advocating for both organizations and people. Shaesta adopts a values-based approach in dealing with clients and co-workers and is particularly focused on providing the highest quality work while providing a memorable client experience. In her personal time, Shaesta enjoys reading, attending yoga classes, and travelling as often as possible. She also enjoys volunteering at various fundraising events including, Scotiabank Toronto Waterfront Marathon and United Way CN Tower climb. Denise Mahoney is the Director, HR Services with MaxPeople, a firm offering premium on-site HR services and Employment Law support to organizations who understand and care about the power of people and do not have HR expertise in-house. Prior to joining the MaxPeople team, Denise has worked with a diverse range of industries over the last 15 years including manufacturing/distribution, professional services, retail and most recently a global architectural and engineering firm. These experiences enabled her to hone her skills in cultivating employee engagement initiatives, developing innovative policies and procedures and implementing Canadian HR infrastructure for the businesses. Denise has extensive experience in employee relations and believes in the importance of fostering a strong employee culture which contributes to a productive organization. Denise has been viewed as a trusted business advisor and has dealt with highly sensitive and confidential information always seeking to achieve win-win solutions with her stakeholders. Denise also has extensive experience in full cycle recruitment, training and development, management/leadership development and health and safety. Denise obtained an undergraduate degree in Criminology and Sociology from U of T, and furthered her education with a post-graduate certificate in Human Resources Management from Humber College. Denise is currently a Certified Human Resources Leader (CHRL) and is a member of the Human Resources Professional Association. Denise is passionate about creating great work environments and helping her clients be successful by hiring and training the right people to produce the best results. Her honesty and integrity drive her as an HR professional, and her positive and ‘can-do’ attitude allow her to quickly build relationships and add value to her clients. Ilana Stern is a Senior. HR Manager, Central Services and Training at MaxPeople, a firm offering premium on-site HR services and Employment Law support to organizations who understand and care about the power of people and do not have HR expertise in-house. As an experienced generalist, she provides our HRessentials clients with a full range of recommendations and support in all aspects of human resources. Prior to joining the MaxPeople team, Ilana gained broad HR experience while working in manufacturing, not for profit and retail industries. 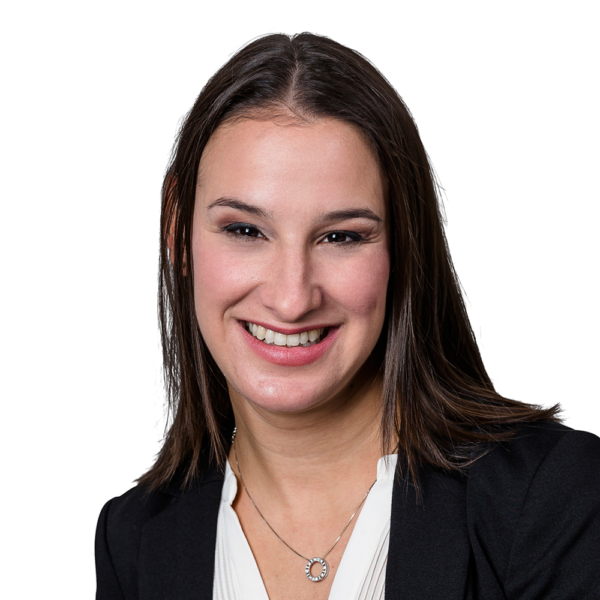 Most recently, Ilana worked for a large Canadian retailer where she gained extensive exposure to a wide variety of employee relations issues and organizational development initiatives. Ilana has delivered training programs to employees at all levels in an organization. She has a true passion for facilitation and enjoys passing on her knowledge and tips to her participants. Ilana has written extensive course materials including case studies for managers to work through as part of leadership training sessions. What’s really important to her as part of facilitation is the interaction and engagement of the audience. Ilana obtained a B.A. from York University, following which she earned a post-graduate Certificate in Human Resources Management from Seneca College. Ilana is also a Certified Human Resource Leader (CHRL) candidate with the Human Resources Professional Association. Ilana is a results-driven and passionate Human Resources Professional with exceptional interpersonal and communication skills. She is energetic and dedicated with a strong focus on cultivating deep relationships with her clients while implementing practical solutions for the business. Tammy Elliott is a Senior HR Manager, Field Services at MaxPeople, a firm offering premium on-site HR services and Employment Law support to organizations who understand and care about the power of people and do not have HR expertise in-house. As an experienced generalist, she provides our HRessentials clients with a full range of recommendations and support in all aspects of human resources. Prior to joining the MaxPeople team, Tammy gained a significant amount of broad HR experience while working in post-secondary, consulting and high technology industries. Most recently, Tammy held a number of Senior level positions in a large post-secondary institution where she was responsible for ensuring HR practices supported the achievement of organizational goals and objectives. Her varied experiences provided extensive exposure to a wide variety of legal, legislative, employee/labour relations and organizational development issues and initiatives. Tammy obtained her Bachelor of Arts, Honours Sociology and Applied Studies (Business), Management studies specialization from the University of Waterloo, following which she earned a post-graduate Certificate in Human Resources Management from the Human Resources Professional Association of Ontario. Tammy is a designated Certified Human Resource Leader (CHRL). She has achieved a Masters in Human Resources Management (MHRM) from York University. Additionally Tammy has been trained and received her certification in Dispute Resolution from York University. As a strong believer that people are the strategic driver behind organizational success, Tammy is a passionate and engaging Human Resources professional supporting clients to achieve their objectives through the implementation of practical HR solutions. Chen Sasson is an HR Consultant with MaxPeople, a firm offering premium on-site HR services and Employment Law support to organizations who understand and care about the power of people and do not have HR expertise in-house. Chen applies her knowledge and exceptional multi-tasking skills to support all HR activities and business lines. Prior to joining the MaxPeople team, Chen worked at Zylog Systems Canada Ltd. as an HR Assistant. Her time with this organization helped her gain HR experience in areas such as Recruitment and Selection, On-boarding and Training, Employment Standards, and managing Health and Safety practices. Chen graduated from the University of Western Ontario with a Business Management degree with an Honors Specialization in Human Resources Management. She has obtained her HR Professional Certification (CHRP). Chen’s goal-oriented approach to her work, along with her excellent communication and interpersonal skills, allows for the best possible outcome when providing support to her clients. Chen is diligent and always ready to contribute to her coworkers’ and clients successes. Her passion for HR drives her eagerness to learn and grow every day. 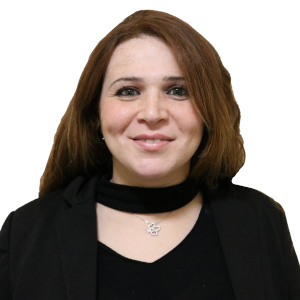 Rema is an HR Consultant with MaxPeople, a firm offering premium HR services and Employment Law support to organizations who understand and care about the power of people and do not have HR expertise in-house. Rema’s experience includes providing all around HR services to various industries including Banking, Manufacturing, IT and Healthcare. Her diverse experience as a Generalist and Business Manager equips her with in-depth knowledge and experience in various HR functions and Business developments. Her broad range of experience in HR services include, but are not limited to, Health and Safety, Recruitment and Selection, Training and Development, Compensation and Benefits, Performance Management, Employee Relations and Labour Relations. Additionally, in her previous roles, Rema played a key role in HRIS Implementation, development of new systems and programs for financial reporting and labour production costs analysis. Rema obtained her Honours, B.A, in Psychology Neuroscience and Behaviour. She followed her Bachelors with a Post-Graduate certificate in Human Resources Management from Humber College. She is also currently working towards an Organizational Behaviour Certificate from Harvard Extension School. Rema is a member of the Human Resources Professional Association where she is a Certified Human Resource Leader (CHRL) candidate. Rema is a passionate, results driven, dedicated Human Resource Professional. Her strengths in communication and interpersonal skills allow her to flourish in relations with clients, business partners and coworkers. Her authenticity, love for HR and genuine caring personality are the traits that drive her success. Nicole is an HR Consultant with MaxPeople, a firm offering Premium Human Resources services and Employment Law support to organizations in need of a strategic HR Partner. Nicole attended York University where she obtained a B.A. in Psychology. During her time at York, she discovered her passion for Human Resources while working in the School of Human Resource Management. Upon graduation, Nicole attended Ryerson University to further her studies in Human Resource Management. Her passions lie in full cycle talent management, HR process creation and implementation, legislative compliance, as well as HRIS systems and benefits. With over 4 years of hands-on experience in a broad variety of Human Resource Generalist areas within industries including manufacturing, distribution/logistics technology, advertising and construction, Nicole’s career highlights include the successful implementation of an all-encompassing HRIS (Ceridian Dayforce) for a large Canada-wide company, alongside a variety of HR initiatives including employee handbooks, performance management procedures and various compliance and soft-skill based training. Canada-wide compliance, including AODA, Health and Safety, Bill 168, Bill 132, Bill 3, and Bill 148. Nicole is a strong team-player with excellent interpersonal and communication skills. Nicole brings a high level of energy to work each day, allowing her to foster long-lasting relationships with all stakeholders in any organization. Her hands-on approach to HR allows her to make a meaningful difference in any organization. Natasha is an HR Consultant with MaxPeople, a firm offering premium HR services and Employment Law support to organizations who understand and care about the power of people and do not have HR expertise in-house. Prior to joining the MaxPeople team, Natasha worked across a variety of different industries including Financial Services, Supply Chain, Consulting, and Professional Services. Her diverse experience within a wide range of industries grants her a breadth of knowledge, skills, and perspectives, allowing her to direct her passion in developing value-added insights and solutions that meets client’s needs. Natasha graduated from McMaster University with an Honours Bachelor of Commerce Degree with Specialization in Human Resources Management. 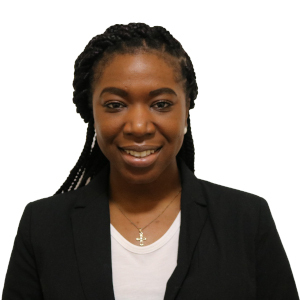 Natasha has a Post Graduate in Human Resources Management from George Brown College and has obtained her HR Professional Certification (CHRP). Natasha’s determination to meet the needs of her clients coupled with strong communication and interpersonal skills enables for value-added solutions. Natasha has strong collaborative skills and enjoys sharing knowledge and insights with her colleagues and clients. Michelle is an HR Consultant with MaxPeople, a firm offering premium on-site HR services and Employment Law support to organizations who understand and care about the power of people and do not have HR expertise in-house. Michelle attended Western University, where she obtained a B.A. in the Honours Specialization Sociology program. Prior to joining the MaxPeople team, Michelle worked at a leading marketing and advertising agency in New York, where she had the opportunity to work closely with the Director of Human Resources. Michelle’s strong passion for a career in Human Resources led her to attend the Human Resources Management program at Seneca College. The program’s combined hands on, pragmatic and theoretical approach to learning allowed Michelle to develop a strategic skill-set to help others in the business world. Michelle is passionate about her work and a valued member of the MaxPeople team. Utilizing her effective communication, analytical and organizational skills, Michelle’s focus is supporting her clients and the MaxPeople team. Nadia Bowser is an HR Consultant at MaxPeople, a firm offering premium on-site HR services and Employment Law support to organizations who understand and care about the power of people and do not have HR expertise in-house. Prior to joining MaxPeople, Nadia worked in Client Services where she assisted with onboarding and training new hires. From this role she recognized the value in effectively attracting, engaging and nurturing the right talent at the right time. Nadia leverages her interpersonal skills with her organizational and problem-solving skills to achieve the best results for the clients she supports. Nadia does not hesitate to take initiative and take on new tasks when supporting the consulting team. Nadia discovered her passion for working in Human Resources while shadowing the HR Manager in a manufacturing facility. Her curiosity to become an expert in areas such as human potential and organizational behaviour led her to attend Trent University where she obtained an Honours B.A. in Psychology. Following this she earned a post-graduate Certificate in Human Resources Management from Sheridan College. Nadia is also a Certified Human Resources Professional (CHRP) and member with the Human Resources Professional Association. Jessica is an HR Consultant with MaxPeople, a firm offering premium HR services and Employment Law support to organizations who understand and care about the power of people and do not have HR expertise in-house. Prior to joining MaxPeople, Jessica worked across a variety of industries including global housewares, Healthcare, Tech and CPG. Her extensive experience in HR include Recruitment and Selection, Training and Development, Employee Relations, Benefits Program Management, Programs & Policies Development, Data Analytics and HR Metrics. Jessica graduated from the University of Guelph where she obtained her Bachelor of Commerce majoring in Human Resources Management. She is currently working towards obtaining her HR Professional Certification (CHRP). Jessica is a passionate Human Resources Professional who thrives on cultivating meaningful client relationships. Her strong communication and interpersonal skills allow her to provide clients with effective and practical HR solutions. Lisa Cavuoti is an HR Consultant at MaxPeople, a firm offering premium on-site HR services and Employment Law support to organizations who understand and care about the power of people. With a depth of experience in both Human Resources and Employment Law, Lisa’s tenure with MaxPeople’s sister company, Rodney Employment Law enhanced her skills and knowledge in these areas. She held a versatile role by providing the team with support in both a legal and HR coordination capacity. Lisa brings knowledge, expertise and a client-centric focus to the role. She is passionate about her work and prides herself on her attentiveness to details to get the job done on time and in the right way. Lisa’s distinct value is her ability to build relationships with colleagues, clients and stakeholders. Having graduated from York University with a B.A. in Psychology, Lisa continued her studies at the University of Toronto where she obtained a Certificate in Criminology. Continuing with her love of learning, Lisa furthered her education with a post-graduate Certificate in Human Resources Management from Seneca College, where she graduated with Honours. Lisa is a Certified Human Resources Professional (CHRP) and a good-standing member of the Human Resources Professional Association. Nataliya Uzerina is a HR Coordinator at MaxPeople, a firm offering premium HR services and Employment Law support to organizations who understand and care about the power of people. Prior to joining MaxPeople, Nataliya worked in the service industry and focused on client services. Nataliya successfully managed and lead a variety of teams in the Retail and Service industry which led to her passion for training. She is passionate about training as it is an integral part of an individual’s success at any organization. Nataliya’s passion for training developed through her experience working with a variety of individuals at various levels. Nataliya’s philosophy on learning is based on a belief that a customized approach is necessary to motivate and engage different individuals. Nataliya has a Bachelors of Arts degree in Psychology from Ryerson University coupled with a Postgraduate Certificate in Human Resources Management from George Brown College. Nataliya’s education combined with her hands on approach gives her an edge when supporting the Training and Engagement team at MaxPeople. Nataliya brings her strong work ethic and interpersonal skills to ensure a positive client experience. Johanna Van Bilsen is the Training and Recruitment Coordinator at MaxPeople, a firm offering premium HR services and Employment Law support to organizations who understand and care about the power of people. Prior to joining MaxPeople, Johanna worked as a Volunteer and Community Engagement Coordinator. Johanna successfully trained, led and motivated large teams of university students to actively engage in the community through volunteer and fundraising events. Johanna’s passion for training developed through her experience working with a variety of individuals at various levels. Johanna’s philosophy on learning is grounded by psychological theories of adult learning, and motivation which help her create content that is meaningful and memorable. Johanna has a Bachelors of Arts degree in Psychology with a minor in Labour Relations from Brock University coupled with a Postgraduate Certificate in Human Resources Management from George Brown College. Johanna’s education combined with her dedication enables her to support the Training and Recruitment team at MaxPeople. Johanna brings her strong work ethic and interpersonal skills to ensure a positive client experience. Daniel Kobrossi is a Business Development Director with MaxPeople, a firm offering premium on-site HR services and Employment Law support to organizations who understand and care about the power of people and do not have HR expertise in-house. Prior to joining MaxPeople, Daniel gained extensive experience as a Business Development Manager with various Recruitment firms where he helped clients secure top talent in areas such as accounting/finance, Human Resources, and IT. Daniel is a graduate of York University where he obtained his B.A. in Economics. Daniel’s customer centric approach to listening and understanding clients’ needs before discussing and recommending solutions has allowed him to develop and sustain long standing business relationships with his clients, who trust and value his expertise. With a true passion for helping organizations grow talent, Daniel is looking forward to helping MaxPeople build upon existing relationships and developing new partnerships. 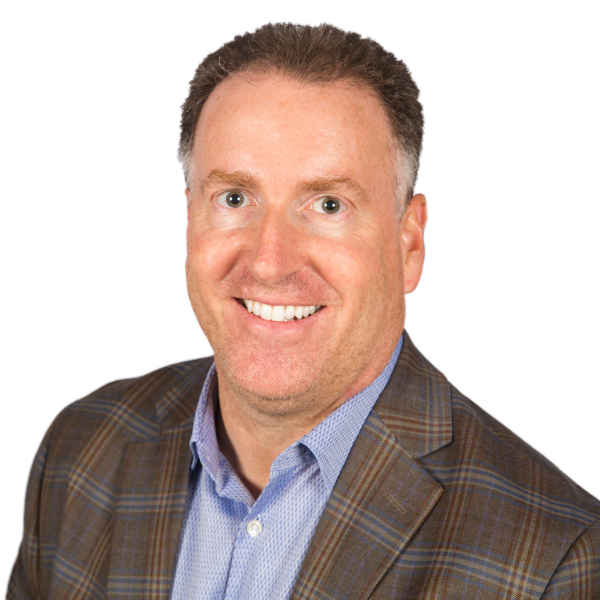 Jeff Kleiman is a Business Development Director for MaxPeople. In his role, Jeff engages business owners and leaders from a diverse range of industries to help discover how to increase their overall organizational success. His consultative approach, background in Learning and Development-Training and business development provide him with practical strategies to understand organizations and offer performance improving solutions. Prior to joining, Jeff worked with a large national organization building strategic alliances and assisting people to reach their goals. He has successfully grown diverse businesses—from small boutique to Canada’s top tier publicly-traded companies. Utilizing his client-focused solutions approach to win new business and deepen existing relationships he has created long-lasting clients. Jeff has worked and traveled to more than 25 countries. His curiosity in global business cultures took him to Japan for 2 years where he was successful helping to expand a language education business. During the dotcom era, he lived and worked in Mumbai, India designing and implementing full-spectrum training for Fortune 500 clients. Jeff has learned the value of hard-work and the power of personal relationships. He has gained insights from roles involving international business development teams in Technology Sales, Lease Financing, Sales Management, and is eager to learn about your business. Jeff completed his HBA at the University of Toronto and MEd in New York State. In his spare time, he enjoys outdoor activities, especially with his son and daughter. Jeff has been involved in fundraising for several organizations working with autism. He considers himself an amateur-musicologist and has played the same five chords on the guitar for many years. 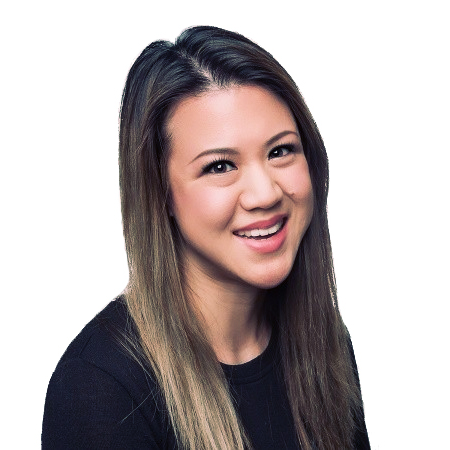 Teresa Hoang is the Marketing Specialist and Office Manager with MaxPeople, a firm offering premium on-site HR services and Employment Law support to organizations who understand and care about the power of people and do not have HR expertise in-house. Teresa is a graduate of Ryerson University where she earned her Bachelor of Commerce, Marketing Management Degree. She began her career with a giftware company where she managed various administrative functions, client care relations and marketing initiatives. Prior to joining MaxPeople, Teresa also worked for a non-profit organization where her contributions centered on leading the development and delivery of the certification program to building and maintaining key client accounts. Teresa was instrumental in the improvement of the company’s online presence that resulted in increased productivity and customer care. Teresa is distinguished by her passion for business, her focus on collaborative team-building and her dedication to meeting the strategic goals of the organization. She is also known for her strong work ethic and commitment to developing programs to improve office systems, workflows and processes. Throughout her career she approached every job as opportunities for career growth and discovery, she hopes to bring the same entrepreneurial mindset and vision to MaxPeople.